"I Live here and I will die here"
Lexi Keneally from Barefoot Initiative gains insight into Maalika and her life devoted to the Afar people of Ethiopia. The team at Barefoot Initiative have known Valerie Browning for over a decade now. 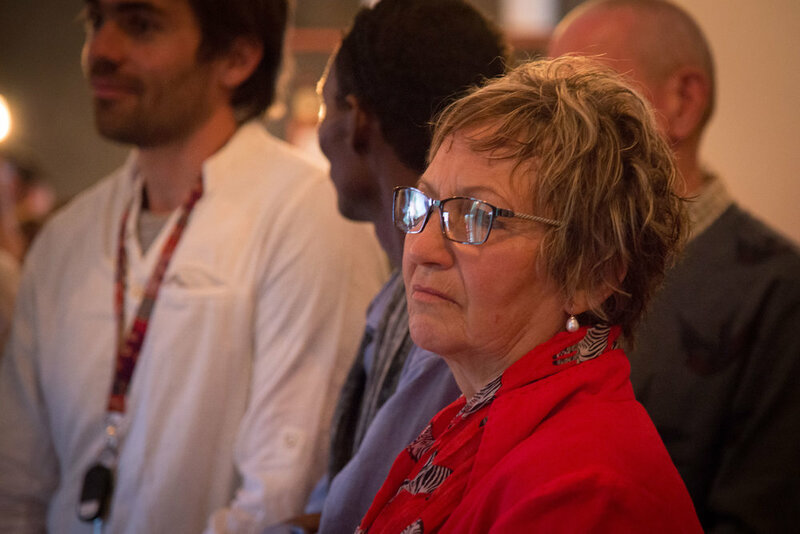 She has been a good friend, a mentor, supporter and collaborator of the work we have and continue to carry out in the Afar region of Ethiopia. Valerie is unassuming and slightly annoyed by compliments and flattery. She is ever pragmatic. Attributing her choice to devote her life to the Afar people of Ethiopia and living in the hottest inhabited place on earth as all seeming ‘logic’. Valerie first left for Ethiopia in the 1970s famine, returning to Australia completely changed after what she witnessed. Ready to fight against the great injustice she saw, Valerie returned to Ethiopia to live a life that would be full of challenges, hardship, and at times, great personal danger. Befittingly named Maalika by the Afar people, meaning ‘Queen’, Valerie describes herself as having moved away from self-need in her mind and lifestyle, having found a deep sense of freedom in this way of living. According to Valerie, it only ‘makes sense’ you would make such incredible sacrifices when you have encountered what she has on her journey; death, life, injustice, love and hope. We decided to have this interview as a way to share a fraction of Valerie’s story, and delve deeper into who she is, her love for the Afar people and where she draws her strength from in challenging times. LK: Valerie, thank you very much for taking the time to share with Barefoot Initiative about yourself and your work with the Afar Pastoralist Development Association. Can you tell me briefly about who you are and what you do? Valerie: I am a, now, 67 year old trained nurse and midwife. I trained when I was 17 years to 21 years old, since that time, I did not take any further formal training. What I do is driven by the sense of outrage at people enduring various forms of injustice. I first saw this when I was 22 years old in Ethiopia, the 1973-74 famine that marked the end of the Haile Selassie Regime. My own naivety and total lack of world insight left me totally unprepared to see and experience people die of malnutrition. Children died in my lap. I had at that point no specific political leaning but had a growing belief that God made people equally and that there should be an international outrage if people died of lack of food. I saw the wealth of the Emperor and the deep poverty of the rural people. The people of Addis Ababa (the capital city of Ethiopia) had no idea what was happening in the rural areas– for me, this was scandalous! From that, I have travelled through life and seen so much of the depravation of humanity and the cruelty of man to man. I picked up information of the Dergue campaign to wipe out intellectuals in Addis (1977/8) and gave that to Amnesty International. I was involved in and saw the cruelty of the Djibouti civil war (1992-1994) and reported this also to Amnesty International in London. For both, I gained persona non-grata in Ethiopia and then Djibouti. Despite this personal risk, I spent those years determined to expose the cruelty through media. I was freelance journalist to the BBC Focus on Africa during the 1980’s, reporting for Australian media as well as confronting Australian foreign affairs. I saw the birth of the government in Eritrea and Ethiopia (Tigray). I now look back to this period and in hindsight to their corruption and total mismanagement. I met Ismael, my now husband, in 1986 when I needed some help in Djibouti. He did help me for a few days and spoke English. I went back in 1989 to thank him and the family for helping me. I was sick and also had visa difficulty then we married, we had no real plan and no hard and fast decision. I went back to Australia for a short visit to tell the family I was married and have been that way ever since. I gave birth to Aisha, who is now 26 years and have officially adopted 2 children but have responsibility for a few others. LK: Can you tell me about the formation of the Afar Pastoralist Development Association (APDA)? Valerie: I have been in APDA from its inception because I am married to Ismael. I was the foreign wife whom the Afar elders asked to start a humanitarian organization initially to rescue Afar from being burnt out in the civil war. The organization went first from north east Ethiopia into Djibouti and eventually, realizing that Afar in Ethiopia had NO assistance – no literacy; vaccination; clean water; no market etc – then the organization stayed on in Ethiopia. Ismael is an Afar nationalist, full-blood. He was incensed that his people are illiterate and wanting them to get all forms of opportunity. I have no problem with a very rudimentary existence in remote areas. There is walking, so much walking. I maybe thirsty and hungry but I do not require any form of trimming any more. When the civil war in Djibouti broke out, I had only been married nearly 3 years and Aisha was a baby. Ismael left to find a way to save the Afar from dying in mass in northern Djibouti. It was then that I was prepared to follow, to be part of the fight – there was no choosing – all seemed logic. LK: Can you tell us more about your role with the Afar Pastoralist Development Association (APDA)? Valerie: I am program coordinator for the entire APDA program that now consists of 6 working sectors: primary health + hospital; Afar literacy and education; women’s empowerment; community economic development; emergency relief and water access; land-use and animal husbandry. The role I have always played in APDA is that I have the vision for what could be possible and what needs to be done and suggest what strategy to use. LK: I can imagine that there are times that you feel unmotivated or defeated. How do you maintain your passion amongst the daily challenges and routine of this type of work? Valerie: As a person, daily I visit my faith in a God who controls and plans this world – mine is the role of a follower. Then, I am surrounded by innovation; compassion of the APDA team to the community – those employed as well as those not employed – as an organization, our shared objective holds us together – I have seen amazing things happen from zero to something amazing in all fields of social and economic development. The challenge we face is the innate corruption of our government and the other Non Government Organisations (NGO) around us; their lies about their achievement with people living in remote areas. LK: Has this work been hard for you? How have you overcome the personal challenges that you are presented with? Valerie: I have had to continually look at myself to detect my attitude and that I am ‘on line’. I believe that the problem the community has should be owned by the community and therefore they also own the solution – their innate right to control their development. In the end, no matter how patronizing another NGO/ government group/ ‘experts’ are, this cannot be taken to heart and has to be fought off to be able to reach a solution. I am but a cog in the chain and in the end, the whole issue is bigger than I.
LK: What do you think are the biggest challenges for the Afar people in the modernizing world? How can we really make a difference to the lives of marginalized populations? Valerie: The greatest challenge is to be recognized by governing powers for what they are: pastoralists living an itinerant life that the ecology of their environment is preserved by their moving from place to place. The Ethiopian government has brought in a policy to settle Afar people. Recently in Melbourne the Ethiopian Embassy team told 3 resident Afar that the government will irrigate the Afar Region ‘scientifically’ – I asked them if you irrigate rocks, what do they grow? Their (Afar) very identity is in crisis and they have every danger of becoming extinct. All forms or exploitation are here, from mining to abuse of the Awash river through sugarcane and cotton plantations. The Afar are left standing naked without a slaughter house for their animals and no permission to market cross-border. Hence Afar are now highly malnourished, one in two children are stunted, and destitution is invading the community. LK: You have been living in the Afar for thirty years now and seen the destitution that exists. How do you move between the worlds of the West and the Danakil Desert? Valerie: With difficulty and pain in my heart. I love my family and friends but the western way is so individualistic it blocks out people like Afar. LK: Where is home for you Valerie, is this where you imagine dying? Valerie: I live here and will die here. LK: How would you define family and community? Valerie: Family are those you directly take responsibility/ share responsibility for in the community. Community is like-minded people where all is done with a sense of benevolence for the good of the community and not the individual. LK: Can you tell me about your family life and the juggle of children in amongst the demands of your work, how do you do it? Valerie: My children are the love of my life and my sense of sanity in what could be crazy – they provide the balance – especially now the youngest – almost 4 years. I have heaps of people living with me who are extended family of Ismael, including women who for one reason or another cannot live rural lives and children/ teenagers who need education – they care for my children with me. LK: Tell us about your husband Ismael, what are the joys and struggles of being married to an Afar man? Valerie: I long for my Australian relatives and pain when they pain – he tries to help this. He is Muslim but does not demand anything except that I respect one God. He is cool/ I have a fury of a temper; he likes to be funny and easygoing. He is not a child- raiser but recently has got quite involved with our youngest. I am the child – disciplinarian – he wants fun. He is a dreamer so never any family economic success – never will be – Ismael will give open handedly to anyone. He is a lover and collector of people. LK: What do you find special about Afar people and their culture? Valerie: their traditional culture and governance is totally enthralling – they are in their pure sense not selfish; not liars and very fond of ecology and the environment – their means of people – governance is very interesting as they need settlement from disturbance immediately. LK: What were your dreams as a child? Valerie: Not much, I had a very strict father. LK: You have an interesting family, you are not the only one who has been involved in aid and philanthropically minded work. Can you tell us more about the strong influences you and your family had whilst growing up? Valerie: My mother was probably the greatest influence in my life – she believed in contentment NOT happiness. Complaining for her was like a crime. She lived a very dedicated life for others including her 8 children, grandchildren and others in the community. My mother influenced others in our family to see what was going on with the Afar. She embraced Ismael as her son and told me before she died she was surprised I had got such good husband. My mother tediously wrote to me every 15 days from the time I traveled – always cheering me on regardless. With my father, she led us into a life of faith – more my mother I think as she was so compassionate. LK: What has been the most challenging thing you have had to face in life? Valerie: The most challenging thing I have had to face is probably to sustain the ongoing belief that there is a need for me to be here away from my culture and belief system. I have been in crisis to leave many times but the answer for me has always been ‘that is totally unacceptable’ this is where I belong. LK: Can you tell us how people can support the ongoing work that you are doing in the Afar? Valerie: People can support by first knowing the actual situation in Afar rather than what the NGOs and government want to say about Afar. Secondly, they can physically support. For example they can sponsor a child to continue education to grade12 or support a project of their choice or APDA in general. Visiting is a good thing as it gives direct contact. LK: Lastly Valerie, in the midst of the challenges and pressures of the work you do, what are some of the things you do for fun? Valerie: I like Afar dancing and music. I love joking and teasing. I enjoy the simplicity of playing with children, it energizes me. Valerie, thank you for your time and openness to share more about who you are and what gives you joy and what gives strength during hardship. Your personal endurance and resilience is humbling and it has truly been an honor to hear more of your story. For those who wish to support the work of Valerie Browning and APDA, you can visit www.barefootinitiative.org.au and donate, please comment ‘APDA’ and the funds will be directly transferred. All donations over $2.00 are tax deductible. If you wish to read more, alongside renowned Australian author, John Little, Valerie has co-authored ‘Maalika, My Life among the Afar Nomads in Africa’. This is a truly excellent read and gives an in-depth insight and personal account of Valerie’s courageous journey. A massive thank you to all of you who came last Friday to our fundraiser at the Store in Adelaide. We had a full house and raised just over $12,000 which is fantastic! A special thank you to all our event sponsors! As we are a volunteer based organisation we can only do the work we do with the support of our greater community. Aside from the fundraising element to the night, it was a very special opportunity for us to reconnect and engage with the wonderful community of people who have and continue to support and be apart of the Barefoot Initiative family. Here are a few photos from the night. We use social media as platform to spread awareness of the Afar region, its people and the work that we do. Please follow us, share our pages with your community and help us to create greater awareness about this extraordinary people and the work of Barefoot Initiative. Supporting our students is a wonderful Christmas gift. Lets keep the hope alive and make dreams come true and support communities to lead their own development. follow the link for details on how you can support our students as a Christmas gift idea. A massive thanks to all the year 8 students who raised an incredible $2500 this year to go towards purchasing more water carts for the community in Yooren. Over the past five years the class eight students from Salisbury High School in South Australia have been raising donations for Barefoot Initiative. Humanities teacher, Evan Polymenease has incorporated the fundraising events into the school program and has travelled to Ethiopia twice to visit Barefoot Initiatives projects. This is a wonderful example of how Barefoot Initiative brings communities together. Barefoot Initiative works to inspire youth from all backgrounds by bringing awareness to the greater world community. With a very changing and globalising world we feel it is fundamental that tolerance, awareness and compassion are essential tools that the youth of today are able to attain. We hope that you can all be inspired by the efforts made by these wonderful year eight students. A massive thanks to Mari, who is a year 12 student at the Samford Valley Steiner School. Last week Mari raised over $800 through the school canteen to go towards our projects in the Afar region of Ethiopia. It is so wonderful to see young people who are putting their focus and energy into their greater community. Please read her message below. "Coming from Brazil, I have always been so close to poverty and people who would need a lot more than me, not only material things , but they would also need my love and compassion. My family has always helped lots of communities, by donating clothes, going to different orphanages and retirement communities on Christmas , Easter and several occasions, to play games, make them feasts and to make sure that they would know that there are people out there willing to improving their living conditions and offer them the opportunity of a comfortable and stable life. This year I had the opportunity to choose a project which I would be running for the entire year, we were supposed to choose something we are passionate about. So I decided to choose something that is close to home, I chose to run the high school cafe at my school to fundraise to donate to an organisation. I chose to donate 100% of my cafe profits to something I believe in. I kept motivating myself by remembering that I want to make a difference in someone else's life . I couldn't ask for anything else in my life, I have shelter, food, education and much more than I need, so it is time to help the less fortunate, it is time to make a difference and change people's life. I proudly support Barefoot Initiative as I believe in their work and their good will. "